What is prompting me to write this blog and acknowledge the distress I feel watching these seven people? What have I to say that is fair minded, will not cause more angst for the women and men in the documentary and will ease my own mind as I am invited into lives that are clearly filled with emotional and physical pain? There are those who will be angry at the physician (MD), Dr. Friedman, who suggests the difficulty with these unexplained syndromes is that they are psychosomatic in nature. The filming crew do not spend much time with him allowing his view to be aired more frequently, but paraphrasing him somewhat, he suggests the persons experiencing this trauma and taking on the sick role have become more entrenched in their symptoms without identifying that it is a psychological issue. I can’t quote him verbatim and to rerun this program is not something I am keen to do, especially since his voice is somewhat low and I could not catch most of his views. But, I believe I just reported the gist of what he meant. I do find very upsetting, but understandable, the myriad of treatments, including supplements that are taken by all of the seven persons. One woman is quoted as taking 55 supplements daily. The travel and treatments costs are extremely high. None of them are evidence based, while most appear outlandish. There is considerable strain on caregivers and the desperation and constant searching for specialists (the majority of whom are from the ‘alternative medicine’ realm) is distressing. The self imposed emotional and physical isolation is difficult to watch, although with one notable exception the people do go outside and seem to be mobile. I was astounded that these people were not encouraged to exercise, at least moderately, although one woman at the end was doing yoga which was very encouraging. Since most were able to walk and did not seem to be experiencing pain with walking I was filled with envy at their abilities. 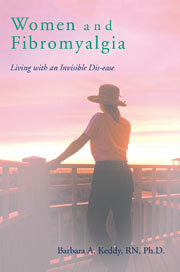 Before the reader is convinced that I am not sympathetic to the endless searches of the sufferers for a cure to these invisible ‘dis-eases’, let me assure all that I have been there, wishing I could find a cure for fibromyalgia (FM) and chronic fatigue (CFS). Furthermore, I do not want to sound morally superior because I no longer advocate nor use any treatments that are not integral to scientific, evidence based medicine. I too have indulged in multiple alternative treatment modalities that were very expensive, and while at first would feel some relief for the pain and chronic fatigue, it was all due to the placebo effect and did not last. Ah, the power of the mind! All these therapists would tell me the same story, that is, that my liver was ‘stuck’ and I had to detoxify, that is, to do liver flushes. In my view this is a scientifically inaccurate claim. The language is similar with most of the alternative practitioners. They are paid handsomely for strategies that are part of what I believe to be voodoo science. Some in this documentary entice them to be hopeful that their treatments will work but at least in one instance the therapist suggests the woman will die if she does not comply. Most of the people in the film seemed to drink much water from plastic bottles, and plastic is a well documented allergen. Water, particularly in plastic, especially if left in the heat, like the desert, cannot help but aggravate the immune system. Pets which are notorious for causing allergies were still a part of some of their lives. Therein lie many of the contraindications of our lives, sadly, mine included, if truth to be known. People deal with their own trauma in their own ways and it is understandable that for many it is to focus on a cause that can be cured. I too have been there and it has taken me a long time to realize that the cure rests within me. Not so much an actual cure, but an understanding of the trauma of my earlier life that has affected my central nervous system to such an extent that I want to take the responsibility away from myself. I wish so often and so fervently that a new place, a new therapist, a new treatment could alleviate my pain, fatigue and myriad of other symptoms. Alas, it is up to me to get up from the urge to lie in bed, giving up, letting others take total care of me. I make this statement on a day when I feel like I can barely move. I know the answers: meditate, do light stretches, indulge in a new activity and most importantly, get up and walk about. Vegetating, moving to a new town, country, space, adopting a self imposed diet of less and less food types, and always searching for the magic treatment is not the answer. That lies within me and yet I too struggle. I understand the seven persons in the documentary. My advice is to not give up or give in to the false hope of being permanently ‘fixed’ by someone else. An experienced therapist who understands extreme anxiety and panic disorders can work with us to help understand how we got to this stage, how to deal with triggers, how to live a better quality of life in spite of the state of our amygdala. We need to understand the neurobiology of fear. Note what Dr. Christine Blasey Ford spoke of regarding the hippocampus, which is closely connected with the amygdala and how we process fear. She too experiences anxiety and panic, yet she mastered all this by standing firm against adversity. She is my heroine.I will get up from the sofa and face the day and all its challenges.